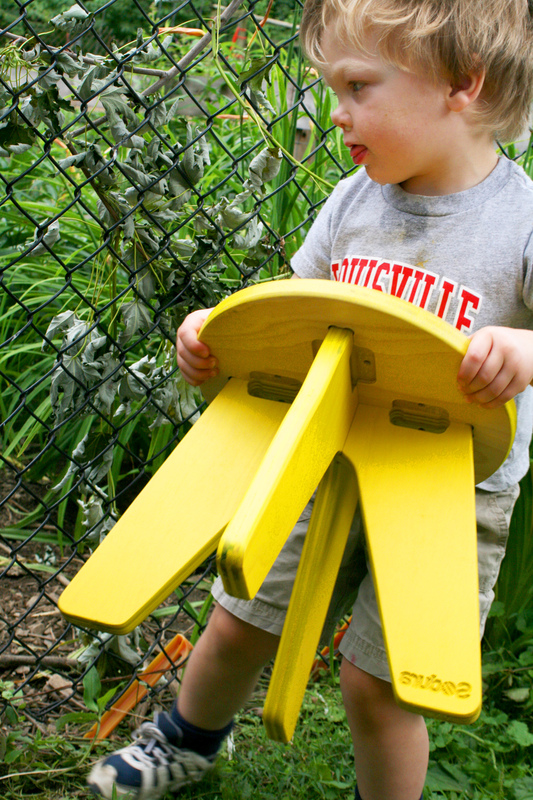 We made it to a neighbor’s house to feed chickens with our yellow Aero Stool today. There were some other kids at Miss Mary’s too. Everyone seemed to enjoy the stool. The more the merrier!